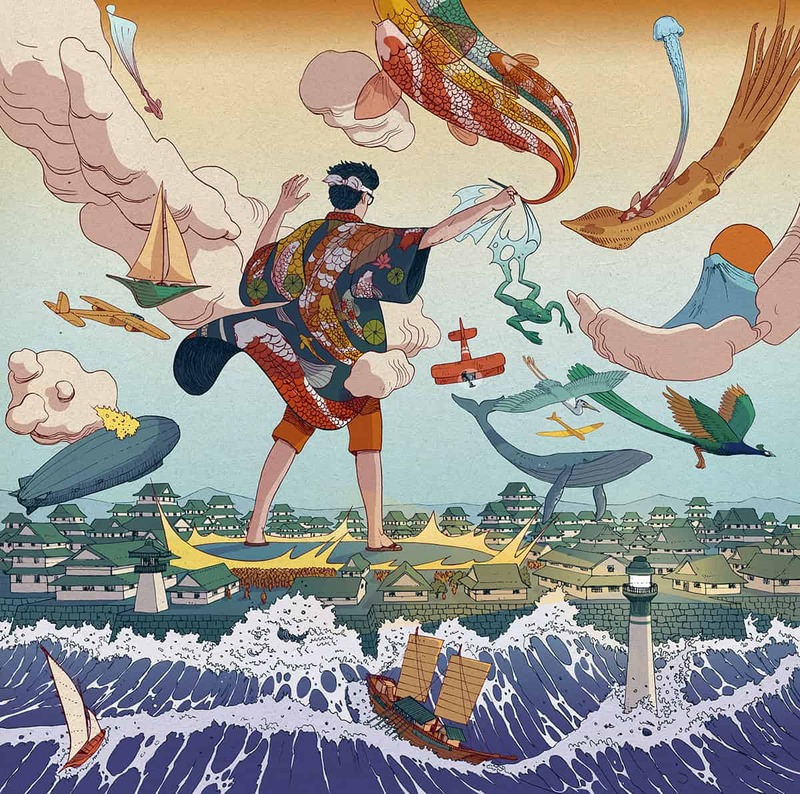 Nicolás Castell’s project “Ukiyo-e Tale” is about an artist from Europe that travels to Japan to find some inspiration. And he discovers a magic pen that changes his life. Nicolás has been really thrilled since he was a teenager by Ukiyo-e and the Japanese culture. I wanted to catch the atmosphere of this type of art in a short story. To capture this type of aesthetics I had to put a lot of attention to composition, elements and colors. What I like of Ukiyo-e is the good taste in elegant compositions and colors, also the imagination and the love for the line (who always had more importance in the Asian art culture than the European, and that is very interesting for me, as I’ve always worked with ink and lines). I’m aiming to develop a whole illustrated book about this. I used to try to describe my style, but now I think it’s pointless, I just draw in the way I feel. If we talk about technique, it’s evident that I put a lot of effort in the predominance of the line to describe the elements and compositions of my pieces. The color is just the atmosphere, and I try to create an impact with the less tones possible. The best advice is to keep drawing, if you’re worried about your future, or because you’re comparing yourself to others, try to avoid all that negative feelings with action, more sketches, illustrations and projects. To live and enjoy every line in its precise moment. Nicolás Castell is an illustrator based in Granada (Spain), he finished his master’s degree in Drawing in 2012, he’s been working as an artist with more than twenty exhibitions in the last years, and as a freelance illustrator for children books, comics, cinema industry, embossing industry, and for music bands as well. He like to draw narrative scenes with historic elements mixed with fantasy. See more of his works on Behance or his website.